We all have ideas. Some may hit you in strange places or at strange times. Like the other night when you had the PERFECT idea for a groundbreaking new restaurant. You awoke with creative juices flowing, but after you told yourself to remember this idea and promptly fell back to sleep, you can not remember one iota of it when you arise once again. It is frustrating, but avoidable. If you are this type of person, having a medium to capture your thoughts can make a career. If you do come up with the amazing and potentially money-making endeavor that you always knew you would, what do you do with it? This is where the real work begins. Among many other things, you will have to put together a business plan. In that plan, map out EVERYTHING the business will need and how to obtain it. A great business plan will go a long way when you take the next step, looking for investors. I do not feel it necessary to walk you through opening a business step by step. First of all, I have never done it myself and do not feel as if I have adequate knowledge of many aspects of a “from the ground up” business. Secondly, there are plenty of resources available to help you in your quest. Finally, since every endeavor is different, there is no real “how to” that will work for every business. What if you aspire to invent for a living? How and where do you even get started? You may have a million ideas for new products, or just know how to improve your favorite products, but without the right channels, your ideas will go ignored. For example, let’s say that you get an idea for a tray that goes across your bathtub to house your laptop. (You can have that one for free). What good is this idea if you have no idea who to take it to or how to sell it? When I was in my late teen years, I work at a retirement home. As I walked through the halls, I noticed that a large number of residents at the home had a silicone pad on their wheelchair seats. I had quite a few opportunities to try out the silicone pad. Every time I sat on one, it was like a little piece of heaven was cushioning my behind. I could not believe that this wonderful material was not more popular for seating! This is where my first “real” creative invention brainstorm came into play. Although I had no idea how to put a plan into motion, there was nothing more I wanted than for this silicone-cushioned seat to embrace my behind in the bathroom. That’s right, I wanted to make a cushioned toilet seat. It was perfect. Comfort is always paramount when squatting on the throne, and this material would deliver. I’m not sure if you have ever sat on a padded toilet seat, but I had. It always seemed as if the vinyl covering on those padded seats ended up getting a tear somewhere and eventually would pinch at your cheeks or legs. The silicone would not do this. And there is always the inevitable ice-cold toilet seat. Not even a 50 degree swimming pool can create the kind of shrinkage that a cold toilet seat dishes out. Luckily, with the silicone seat, your body heat is immediately equaled by the cushioned material. There were a number of drawbacks that made this idea virtually impossible (like cleanliness) but it was a solid idea nonetheless. My point is, even some of the best inventions need tweaks and adjustments to make them work the way they should. If you come up with a killer idea, do not make excuses as to why it would not work. Instead, devise a way to make it work. In the language of the statute, any person who â€œinvents or discovers any new and useful process, machine, manufacture, or composition of matter, or any new and useful improvement thereof, may obtain a patent,â€ subject to the conditions and requirements of the law. The word â€œprocessâ€ is defined by law as a process, act or method, and primarily includes industrial or technical processes. The term â€œmachineâ€ used in the statute needs no explanation. The term â€œmanufactureâ€ refers to articles that are made, and includes all manufactured articles. The term â€œcomposition of matterâ€ relates to chemical compositions and may include mixtures of ingredients as well as new chemical compounds. These classes of subject matter taken together include practically everything that is made by man and the processes for making the products. There may be many legalities to consider, but applying for a patent is an important measure to take when you have a product idea. If a patent is filed, and another company or individual who does not have a patent uses your idea, you may be entitled to profits related to the product. Again, legal issues do arise in this situation…but patenting your idea is a must for any inventor with a marketable idea. As I have said before, I do not consider myself an entrepreneur. But that does not mean that I do not get ideas, and to know how to protect these ideas from being used without permission is a smart way to approach. Even if you are not an entrepreneur by trade, do everything in your power to retain and protect your ideas. You have nothing to lose but a potential life-changing idea! Brainstorm: And record your results on paper or with a physical recording device. You never know what may come up. Always keep a notepad handy. ALWAYS. 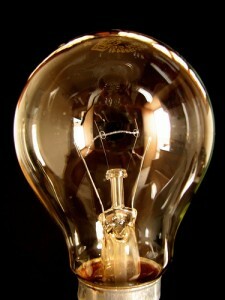 If you come up with a potentially big idea, patent it first and talk to others later. Sometimes it is hard to tell who you can trust. The best ideas hit you in the car or the bathroom (at least in my case). Have something to keep track of ideas in these two places above all others. Share business plans with only those who you trust or have a need to know. ”having a medium to capture your thoughts can make a career” A medium to me is all about networking , share your thoughts with liked minded people.